Water carries nutrients to our cells, flushes toxins out of vital organs and provides a moist environment for ear, nose and throat tissues. Lack of water can lead to dehydration and the body can not carry out normal functions. Even mild dehydration can drain your energy and make your tired. Consuming beverages and foods that contain water replenishes water and help your body function properly. # HOW MUCH WATER DO WE NEED TO DRINK IN A DAY ? In general, if you drink enough water so that you rarely feel thirsty and you produce 1.5 liters or 6.3 cups or more of colorless or slightly yellow urine a day, your fluid intake is probably adequate. 1) The rule of eight: Eight 8-ounce glasses of water a day. 3) Dietary Recommendations: 6 – 8 eight glasses of water a day for an adult. ## Exercise: Replace fluids and salts before, during and after strenuous exercise. 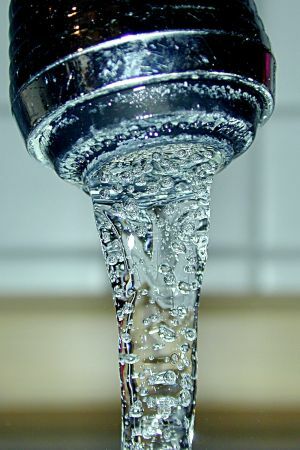 Increases needs of water : fever, vomiting, diarrhea, bladder infections, urinary tract infections. Decreases needs of water: Heart failure, some kidney, liver or adrenal diseases.